When someone tells you they have fairies for sale, alarm bells should go off in your head, but turns out even just having a photo of a fake fairy could be worth a lot of money. Consider this: Photographs of the infamous Cottingley Fairies are expected to fetch £70,000 ($91,249.20) at auction. 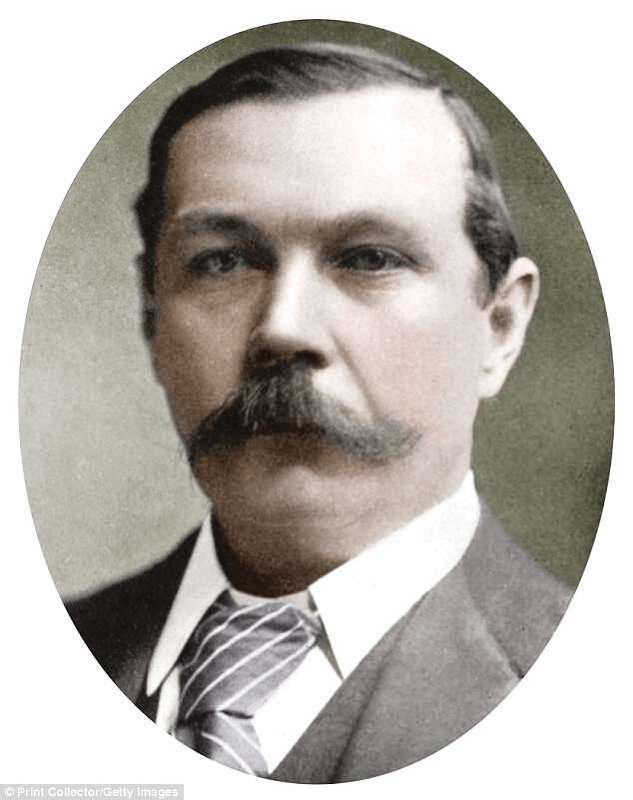 For those unfamiliar with the case, this might seem completely off topic, but let’s talk about Sir Arthur Conan Doyle. Sir Doyle was the writer who created Sherlock Holmes and John Watson, but perhaps he should be best remembered for being a proponent of Spiritualism in his later years. Come 1920, when Sir Doyle was sixty-one, something magical happened. Prairie Ghosts recalls how during that year “Conan Doyle received a letter from a Spiritualist friend, Felicia Scatcherd, who informed of some photographs which proved the existence of fairies in Yorkshire. Conan Doyle asked his friend Edward Gardner to go down and investigate and Gardner soon found himself in the possession of several photos which showed very small female figures with transparent wings”. It seemed that in 1917 sixteen-year-old Elsie Wright and nine-year-old Frances Griffiths claimed that had seen fairies in their backyard creak. In an effort to convince their elders, the two cousins borrowed Elsie’s father’s camera, a Midg quarter-plate, and went out to the back. When they returned, they had their proof. 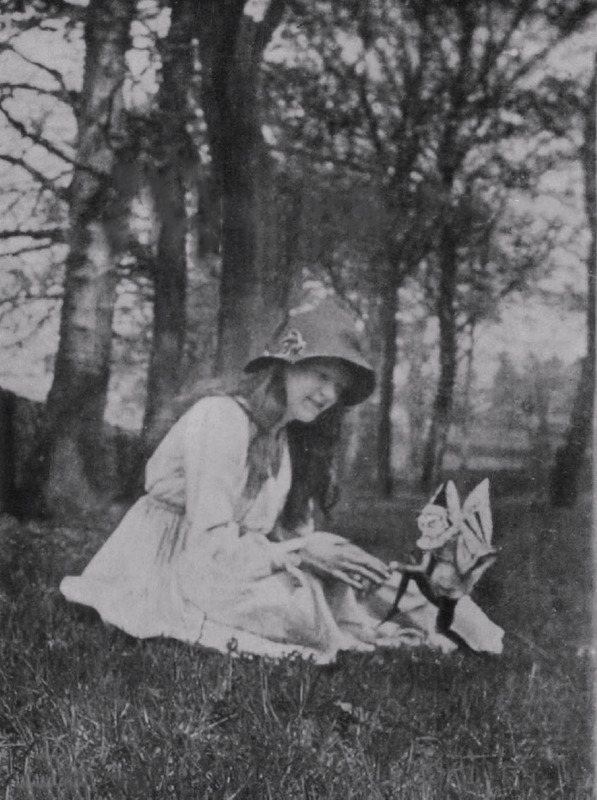 Keenly interested, Sir Doyle, The Gazette writes, “met the girls and asked them to take more photographs of the fairies, giving them two cameras in 1920”. 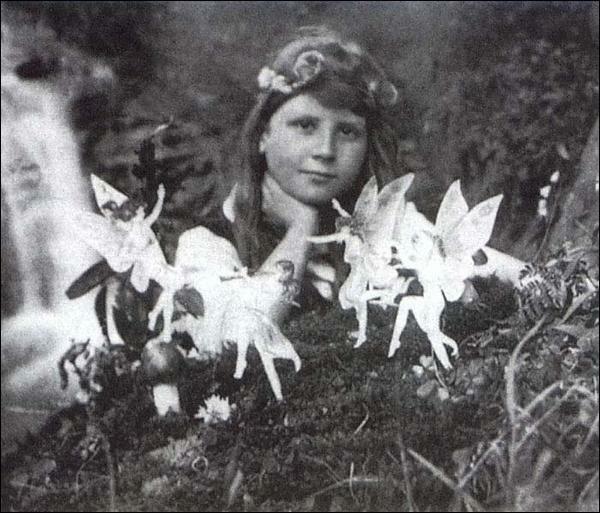 The end result was a total of five photographs of fairies, although none of the photos were taken with Sir. Doyle watching. It’s ridiculous looking at these photos now to think that anyone would think these are real, but you have to remember that back then there was no television, the radio was barely twenty-five years old, and film making was in its infancy. Heck, World War One was not only still widely known as the Great War but it had only ended two years earlier. Needless to say, the photos are fake. See? They were going to the creak and getting dirty because they had to go and see the fairies. A cute excuse for getting some mud on you, but once the photographs were made they went the 1920s equivalent of ‘viral’. “Elsie swore her to secrecy, and she said it ruined her life because she was looking over her shoulder the whole time,” the eighty-eight-year-old revealed. Turns out this mystery has a truth that even the creator of Sherlock Holmes couldn’t fathoms: An innocent excuse turned into a heart-wrenching web of lies. And now the photographs, revealed to be fakes, will be given to the public so they may do what they wish. They will be available at Dominic Winter Auctioneers in Cirencester, Gloucestershire, on April 11th.